This project aims to develop empirical and theoretical tools to understand how nearshore ecosystems respond to anthropogenic stressors. We will use quantitative studies to characterise the dynamics of ecosystem stress responses with an aim to characterise general principles that can be directly applied to the management and conservation of species and ecosystems. These dynamics often involve complex non-linear behaviours that generate abrupt (and therefore unexpected) transitions between ‘normal’ or ‘health’ states (with their functions and services intact) and ‘deteriorated’ states (with significant losses in function and services). Managing for this surprise requires a clear understanding of stress tolerance thresholds, beyond which critical ecosystem transitions are likely to occur. We will characterise the ecological dynamics driving these non-linearities and attempt to determine how these mechanisms are mediated by environmental conditions (temperature and nutrients) and by the biological features of the species involved. 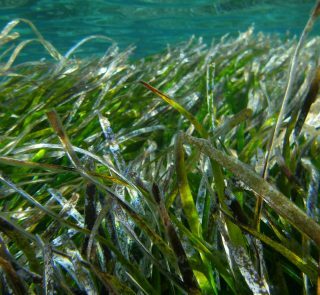 Using Mediterranean marine macrophyte communities as our study systems, we intend to develop predictive and diagnostic tools to deal with the management of complex ecosystem dynamics in a conceptually robust and unified manner. This framework will help predict when ecosystems are close to critical transitions, and their sensitivity to other environmental conditions such as global warming or eutrophication. Specific objectives include: (1) experimental documentation of ecosystem responses (linear or non-linear) to the most relevant stressors (overfishing, eutrophication); (2) identification and experimental validation of the mechanisms underlying these dynamics; (3) experimental validation of factors and conditions that mediate the mechanisms that determine critical transitions; (4) generation of a robust predictive framework of ecosystem behaviour that uses mechanistic models to reliably integrate non-linear behaviours using the mechanisms identified in earlier objectives; (5) observational validation of model predictions using natural gradients of relevant variables (temperature, nutrients) and (6) development of handy management tools, indicators and criteria to predict and prevent critical transitions to maximize the resilience of coastal ecosystems.